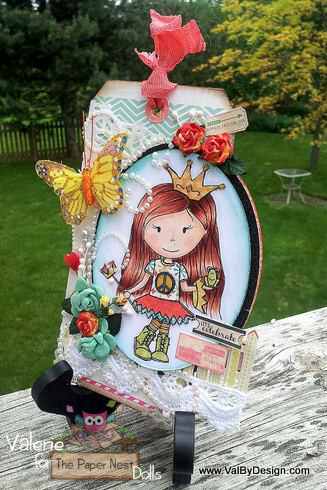 Today I’m showing you the adorable Waiting for My Prince image on a double sided tag. And instead of my usual Copic coloring, I combined Copic coloring with the always fun technique – paper piecing. 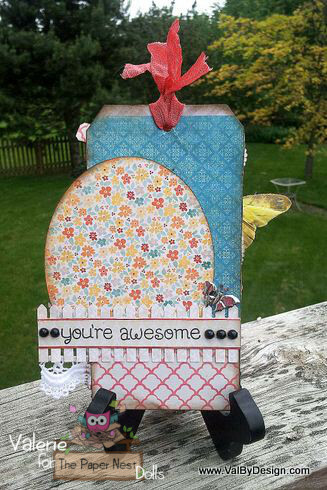 You can hop over to my blog, ValByDesign, to see all the supplies used on this tag!